EA and DICE have dropped a new video for Battlefield V, one which is much more of an in-depth look at the game instead of a trailer. 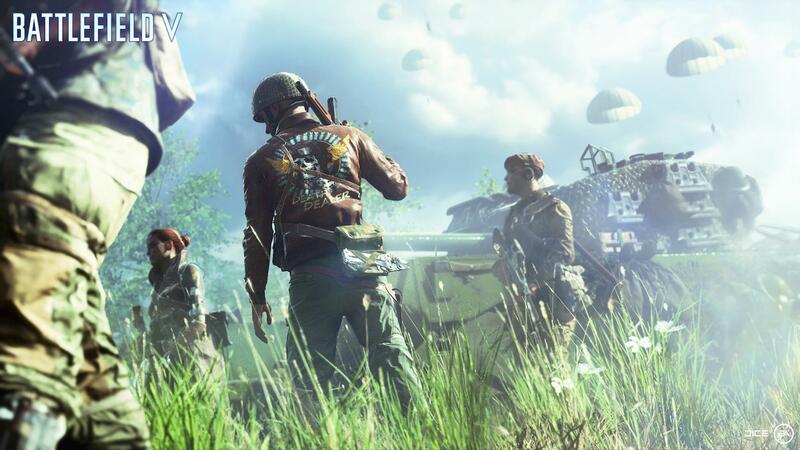 The video, called “This is Battlefield V”, introduces the various multiplayer modes. It’s also the first real introduction for the long-awaited Battle Royale mode, which is now called Firestorm. Firestorm is a new take on the idea that sees 16 teams of 4 pitted against each other in the “largest Battlefield map ever.” As the titular storm of fire closes in on the map, you’ll be able to get the full Battlefield V experience out of this mode, including destructible buildings and driveable vehicles. Aside from Firestorm, the video also goes through various player movement options, which have been greatly expanded for Battlefield V. You can now jump through windows, throw grenades back, crawl backwards, and fire while on the ground, and more. A new ‘Fortification” system is also laid out in detail here. While destruction has always been a big part of the Battlefield experience, now you can also rebuild structures during a battle as well. Specfic spots will allow you to place barbed wire, sandbags, and fox holes. Finally, the video goes into some detail about the first free piece of content coming to Battlefield V post-launch, as the “Premium Pass” as we know it has been retired. It’s called “The Fall of Europe,” which is set in the spring of 1940. This content will bring new missions, events, weapons, and other things you’d expect from Battlefield DLC drops.